Mackenzie started her career in over the phone sales, but quickly learned that she was drawn to the more human side of the b2b world: face-to-face interactions and in-person conversations. 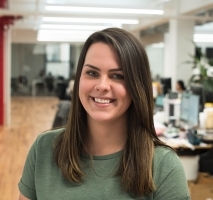 She now is on the marketing team at Parse.ly. From donut walls to interactive booths to 109 pounds of tic-tacs, Mackenzie draws on her playful side to create unforgettable experiences, both on and offline. When not planning the next big thing, it’s likely you’ll find Mackenzie in the audience at a Broadway show or hockey game. If you catch her there, she'll be sure to show you pictures of her nephews and niece and her cat, Goliath.